PORTLAND, Ore. – The Southern Poverty Law Center (SPLC) and the Beth Allen Law firm of Portland sent a complaint today to two professional psychiatric associations urging them to investigate the unethical use of conversion therapy by a Portland psychiatrist. The SPLC also launched an online tool that informs users of conversion therapists near them and offers people a safe place to share their stories. The complaint was sent to the Oregon Psychiatric Association (OPA) and the American Psychiatric Association (APA) charging that the Portland psychiatrist unethically subjected Max Hirsh, a 22-year-old University of Oregon student, to conversion therapy. Hirsh began seeing the Portland doctor for treatment for depression in February 2011 and discontinued therapy the following August after determining the doctor subjected him to conversion therapy – a bogus form of therapy directed at changing his sexuality. Conversion therapy, also known as reparative therapy, is a dangerous practice based on the discredited idea that people can change their sexual orientation – literally converting from gay to straight. The practice has been highly criticized by all major American medical, psychiatric, psychological and professional counseling organizations. Various forms of conversion therapy are practiced around the country and LGBT people continue to face significant societal disapproval of their sexual orientation and gender expression as a result. 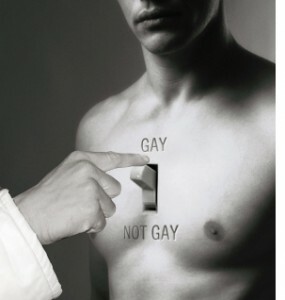 Central to conversion therapy is the belief that being gay is a mental disorder – a position rejected by the American Psychiatric Association decades ago. The APA warned over a decade ago: “The potential risks of reparative therapy are great, including depression, anxiety and self-destructive behavior, since therapist alignment with societal prejudices against homosexuality may reinforce self-hatred already experienced by the patient.” Despite these and other warnings, the practice of conversion therapy remains essentially unregulated. To highlight the prevalence of the practice across the country, the SPLC created an interactive map, which notes the locations of nearly 70 therapists who advertise the practice of conversion therapy in 20 states and the District of Columbia. A tool with the map also allows those recovering from the harm caused by conversion therapy to share their stories. Hirsh, who identifies himself as a gay man, eventually discontinued therapy after his sexual orientation became the primary focus of the therapy sessions. Instead of addressing Hirsh’s desire to have a more active social and romantic life, the doctor focused intensely on Hirsh’s relationship with his father and even asserted that he didn’t believe Hirsh was gay – approaches typically used by conversion therapists. The psychiatrist also told Hirsh that if he were indeed gay, then Hirsh would need to accept that his love life would always be dissatisfying. The map and a copy of the complaint are available at //www.splcenter.org/conversion-therapy. The SPLC is dedicated to defending the rights of the LGBT community through educational campaigns and legal action.